At BB Crafts, we offer all types of tulle fabric so that you can easily get them through special orders. Moreover, an individual can make the use of tulle for decorating their events that give a sophisticated outlook with an enriched color combination. You could create the unique items with tulle's solid fabrics along with decorating your function with tulle patterns. 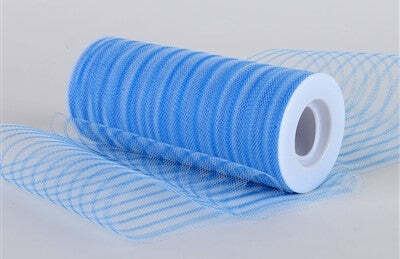 Tulle is fine netting material made from 100 % pure polyester. Imperative use of this tulle material may be you know about that is from the prevention of insects. For insect's control, tulle netting also used. Like, you can spread the tulle netting over those plants that are vulnerable. This net fabric is reserved and helps air to quickly pass through the remaining holes and prevent the net from collapsing and tearing. You can easily work with these materials due to its elastic property.